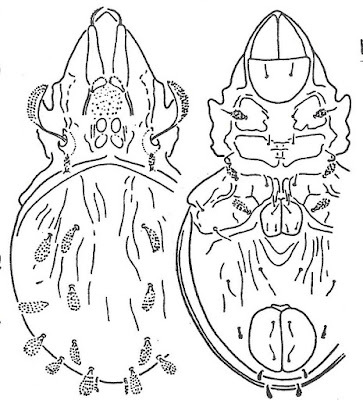 Dorsal (left) and ventral views of Striatoppia baloghi, from Balogh & Balogh (1992 vol. 2). Striatoppia is a pantropical and subtropical genus of oppiid oribatid mites characterised by fine longitudinal lines on the notogaster. 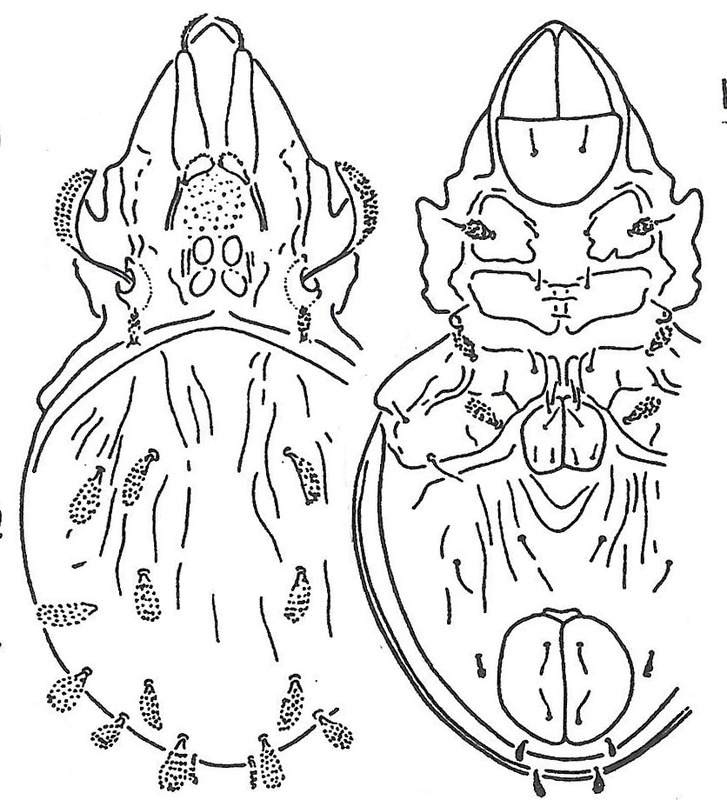 Characters (from Balogh & Balogh 1992): Prodorsum with prolamellar ridge; interbothridial region with costulae; sensillus scopulate. Notogaster with fine longitudinal lines; crista absent; with nine pairs of setae, notogastral setae dilated, setae c2 absent. Apodemata IV present. Genital plates with five pairs of setae; setae ad1 postanal; fissure iad paraanal.